Inaugural Sunday Night Dance Party: Success! 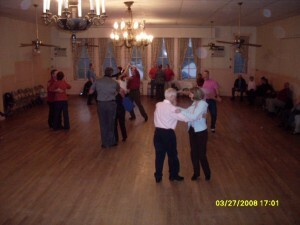 Posted on March 31, 2009 by lauraet in dance events, social dancing. Posted on March 28, 2009 by lauraet in dance events, social dancing. Posted on March 24, 2009 by lauraet in dancing in the media, USA Dance. Posted on March 23, 2009 by lauraet in dance events, social dancing. Posted on March 16, 2009 by lauraet in dancing in the media, USA Dance. Posted on March 13, 2009 by lauraet in behind the curtain. Tweet 2 weeks after starting to build it, I am finally making our Web site public. Leave a comment and let us know what you think! Posted on March 10, 2009 by lauraet in competitions.